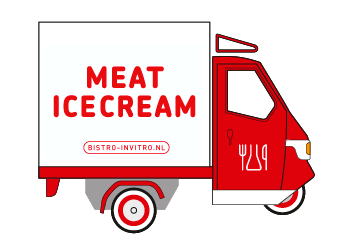 In Bistro In Vitro’s mobile Ice Cream Car we already give you the chance to taste one of our desserts. 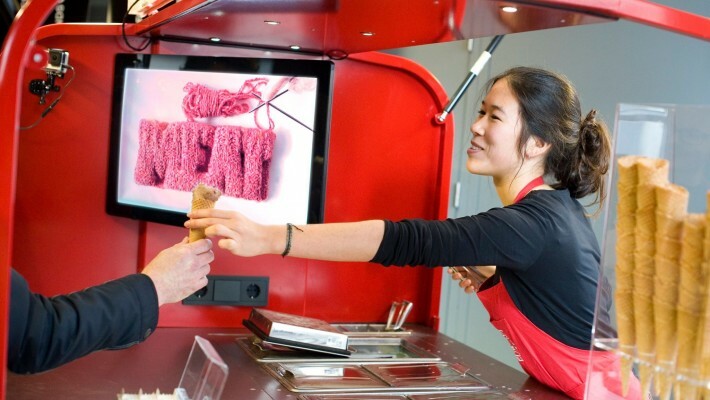 While enjoying the ice cream we ask the following question: do you expect to eat in vitro meat in 2028? In the Ice Cream Car you can taste six exciting flavors: meat fruit, polar bear, bacon, ice queen, dragon and chocopanda. The aim is to discuss with you what your opinion is on the future of in vitro meat. WANT TO BOOK THE CAR?